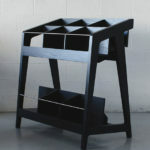 To really embrace the Art Deco spirit of decadence, you’ll need this Carraway drinks cabinet from Marks & Spencer. 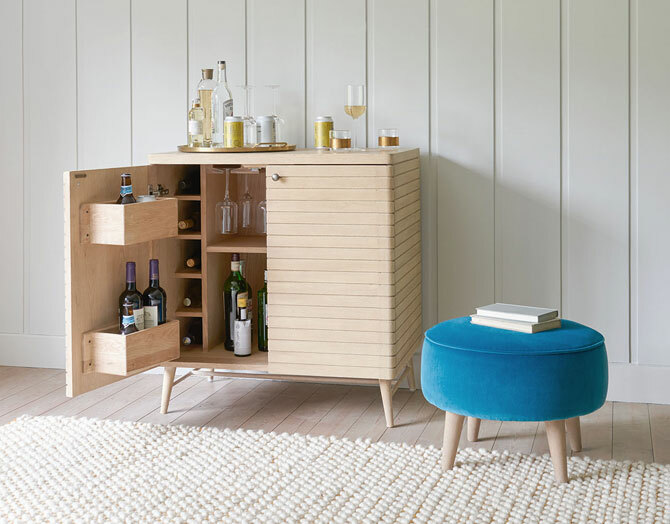 Having a bar in the corner of your lounge is considered a tad tacky, but if you still want somewhere to store your booze then Dwell's Imbibe Drinks Cabinet may be more acceptable. 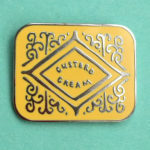 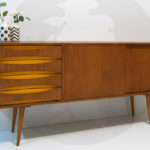 A piece of British midcentury design that still looks the part today. 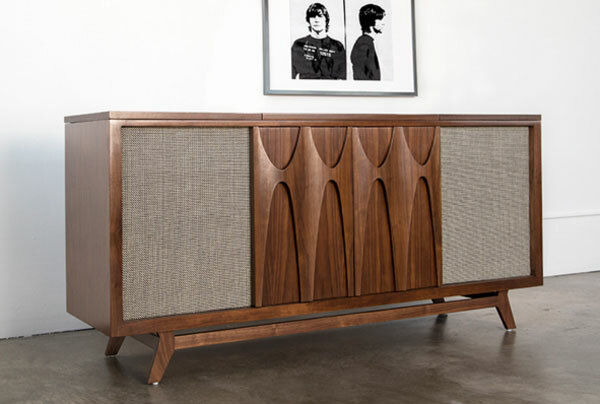 Just as importantly, this Austinsuite teak sideboard and drinks cabinet is also a practical item too. 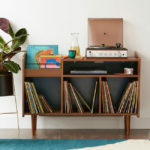 Late last year we trailled the new Orla Kiely House collection that was on its way – this Complete Larder Cabinet is the first piece of furntiture we've seen from the collection online and with a price.